New procedures by oral health professionals could offer relief for severe migraines and other headaches. Dr. Randall Diez is now offering treatment to his Tampa, FL dental patients for their headaches and related health issues. Dr. Randall A. Diez in Tampa Florida specializes in migraine therapy and the complex treatment of the tempromandibular joint (TMJ). It’s a condition with which we’re all too familiar. Headache affects literally 90 percent of the U.S. population, according to the National Institute of Neurological Disorders and Stroke. An astounding 12 percent of the population suffers from the more severe condition of migraine headache - pulsing or throbbing pain that can be accompanied by nausea, vomiting, sensitivity to light and noise, and worsen with routine physical activity. Millions more are hampered by recurring neck or jaw pain. Yet, now there’s good news that says your dentist could be a new and valuable ally in treating these conditions.These widespread and sometimes debilitating problems could be related to unbalanced dental force. In some cases, observable symptoms such as grinding of teeth, broken teeth, temporomandibular joint (TMJ) and masseter muscle pain can alert the dentist to a problem. In other cases, it’s simply good communication on a regular basis with a dental professional that uncovers the problem and leads to the right solution. Dr. Diez’s Tampa practice has incorporated advanced diagnosis and treatment systems for dental force related conditions, as have other leading oral care practices across the U.S. This investment of time and resources allows Dr. Diez to be a more important part of overall wellness and healthcare in Tampa. It is amazing how the whole medical field, scientists, etc. keep finding the undeniable and immensely important links between a person’s teeth and their general health. “It’s a big plus for my patients to keep these areas of their health in mind when they visit their dentist,” said Dr. Diez. General and Cosmetic Dentistry is a general practice offering patients personalized dental care for Tampa, FL for over 25 years. 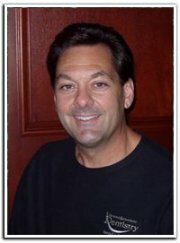 Dr. Randall A. Diez received his bachelor’s degree from University of Florida, is a graduate from University of Florida College of Dentistry and Las Vegas Institute for Advanced Dental Studies. He is educated in advanced anterior aesthetics, cosmetics and reconstructive procedures and occlusion I (biting function and related muscles and joints). Dr. Diez is certified in sedation dentistry, Invisalign, CEREC, Laser Dentistry and TruDenta Migraine. He is part of one percent of dental professionals providing the most recent FDA cleared laser procedure for gum disease and periodontal treatment, and only two percent of dentists have his level of advanced education. To learn more about General and Cosmetic Dentistry and their dental services visit their website at http://www.dentist-in-tampa.com and call (813) 321-0074 or (813) 358-5750.